The reviews shared below come from real customers who cared enough to take the time to rate Windows Hawaii by completing a Guild Quality survey, encompassing 9 critical areas of the services we provided. If you are considering our services perhaps viewing our reviews will give you the confidence needed to contact us and provide us the opportunity to help you with your next home improvement project. As I was looking out my windows at the beautiful Ko’olaus, I realized I had forgotten to send a "Thank You" for Windows Hawaii's recent March-April maintenance visit to us. 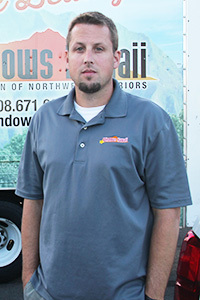 Your Service Manager, Rafael Ramos was a most pleasant and understanding person who have taken care of a few problems we had with our windows. I again want to say “Thank You" for continuing your excellent maintenance service. The service you provide was a major factor in our decision to purchase all 24 casement, awning and single hung windows from you when we did for our house renovation back in 2010. You can’t go wrong with Windows Hawaii. They are top notch. From the sales, office staff, production manager, installation and cleanup crew. Originally we only had to do the downstairs windows, and change a window to a sliding glass door. We were so impressed with the quality and overall experience, we immediately ordered window for the rest of the house. They also did the sliding to the outside of our house, something we didn’t realize they did. Made our house look brand new once again. We did have a small adjustment that one of the windows needed after the installation that came up afterword’s, and they came out the very day I called them to adjust it. I recommend them to all my friends and business partners. To this day I have had them do various other projects at my place of business. Aloha, Kenneth & Raenale Ho. What led us to choose windows Hawaii was due to the positive comments we read on social media, and getting other people’s feedback.With all the positive feedback about WH we felt confident to call Windows Hawai`i. Our first contact with WH was with Shante. Shante answered the phone friendly and professional she set a positive tone for Window’s Hawai’i that made us want to do business with the company. She proceeded to schedule an appointment with sales representative Mr. Greg Winn. 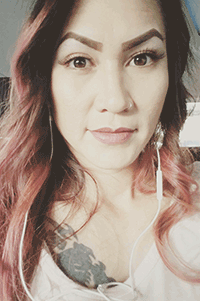 It is because of Shante’s Aloha Spirit that we chose to do business with WH. Greg Winn did not do a hard sale presentation nor did he try to force us to purchase windows and sliding doors that we did not want. 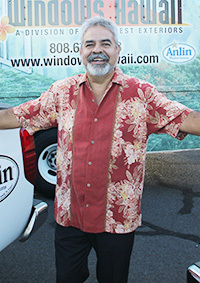 Instead, Greg educated us about Ali’i Windows, such as; the materials that are used, the styles of windows, mechanisms, the glass glazing system, plain and obscure windows and the reduction of UV rays and noise. Greg was friendly, product knowledgeable, most importantly he was patient with our many work change orders and understood what we wanted for our house. We highly recommend WH to friends, and families because of their professionalism. Thank you Window’s Hawai`i for a great experience. Life changing is not the reaction you would expect from changing your windows. But that’s the kind of customer feedback Windows Hawaii receives on a regular basis. Vincent Luzon and his wife Ruby didn’t know they had a view of the Koolau mountain range until Windows Hawaii replaced their 30-year-old windows. “The awning windows blocked the way. I can see all the way down to Kaneohe Marine base now,” says Luzon. It’s also a lot quieter. When his neighbors were doing repair on their house, Luzon closed their new windows and was surprised by the silence. “We got no sound. I was amazed!” he says. The Silvas own TNT Tinting and know their windows. It was one of the reasons why they chose Windows Hawaii in the first place. But they remain patrons and recommend them to friends because of their customer service. “I really look for customer service. I’m conscious of things like that and if they make me feel comfortable,” says Silva. Besides being courteous, she said the guys were timely, came with a game plan and meticulously cleaned up every day after they left. "Good job! Especially impressed with this group of young men and their supervisor - friendly, polite, with good work habits and taking pride in their workmanship. Will recommend your services to anyone showing interest in improving their homes." "Just wanted to drop a line and say thank you so much for everything. The completion of the installation of our windows was yesterday. The entire process was a joy and positive experience. I thank you for your expertise, suggestions and professional manner in ordering the windows. I would like to especially praise the timeliness and scheduling of the order, the solid cost estimate, and the organized way you and your company did business. I am blown away by the professionalism of your installation crew. They were extremely hard working, considerate, respectful, neat, really friendly and very talented carpenters. I could see the pride they took in their work. I was continuously impressed and delighted with what I was seeing every day. The windows themselves are functional, beautiful and secure. I am a 100 percent satisfied customer. I hope to call upon you again later this year to install the windows in our upcoming renovation." "I have replaced windows in three homes (Wisconsin, California and now Hawaii). I am very happy with the service, professionalism and craftsmanship of the employees of Windows Hawaii, as well as the final result. The products are as advertised and of high quality; the timeliness was as agreed upon; and the workmanship was professional, courteous and considerate of my needs. Extensive efforts were taken to minimize the disruption of day-to-day life and follow-up on minor issues was prompt, efficient and satisfactory. I highly recommend Windows Hawaii should you be considering window replacement." These stories prove that good windows and the right window company won’t just upgrade the value of your house, but has the ability to transform a house into a home. We would also love you to be a part of our growing WINDOWS HAWAII family. We sincerely appreciate the opportunity to be of service! Thank you to our customers for taking the time to provide us with their heartfelt video testimonials as shown below.